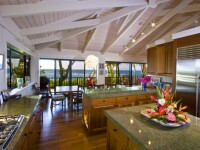 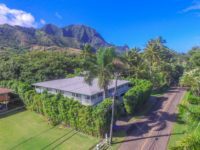 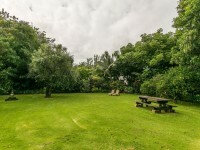 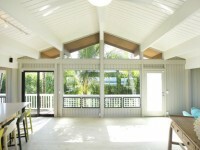 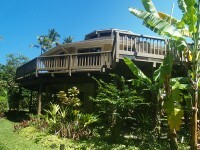 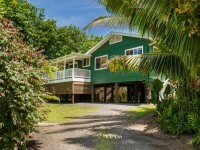 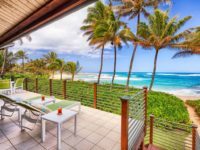 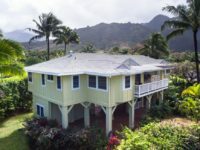 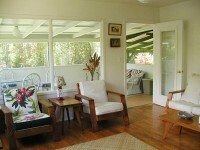 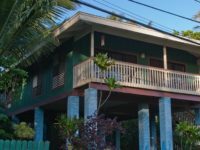 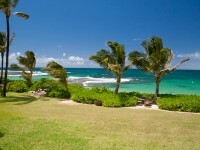 HAENA, KAUAI VACATION RENTAL: At the lovely 2 bedroom and 1 full bath Hale Malapua, you can enjoy a little piece of Hawaiian paradise in your own home. 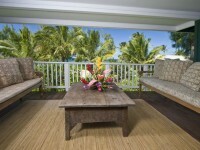 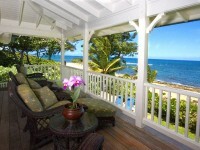 When you sit in the covered lanai, you’ll be able to gaze out at your serene landscaped garden. 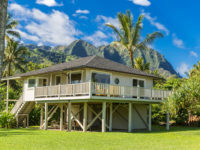 In the distance, you’ll see lush green mountains and a roaring waterfall; it’s the perfect setting for a Kauai vacation. 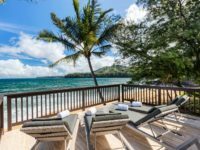 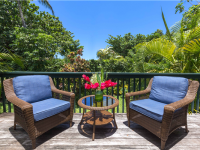 Hale Malapua is located on one acre of ocean side property (behind Hale Luana), just step out your front door and walk right out to the gorgeous white sand beach in front. 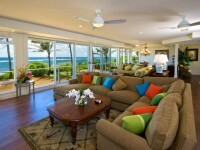 The home’s interior was decorated and furnished with your relaxation in mind. 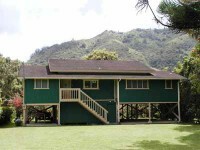 The house features a large living room, a full kitchen, and two bedrooms, one with a king-sized bed and one with a double bed. 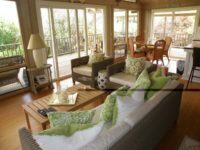 During the day, stretch out on the tropically decorated couches in the living room and enjoy your included DVD/VCR player. 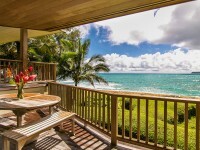 Or, you can play your favorite tunes on the stereo.In the evening, before climbing into your soft bed, take a soak in the luxurious Japanese furro tub. 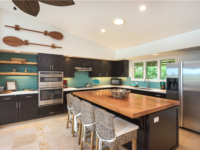 With high wooden ceiling, wood-paneled walls, and bright teal cabinets, the entire house has a tropical feel that will help keep you relaxed. 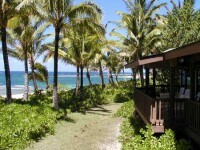 Hale Malapua is the perfect base to explore some of the best attractions in the Haena area.